Hmmm…you smell like a Stirling Moss. Which one of us is the right colour? Eating more than your five a day jock? Do you know you’ve gone mouldy? So are you one of those eco-friendly hybrids? Take my advice buddy, don’t stand too close to that lawn mower next time. .? mum been cutting the grass again! Huh! 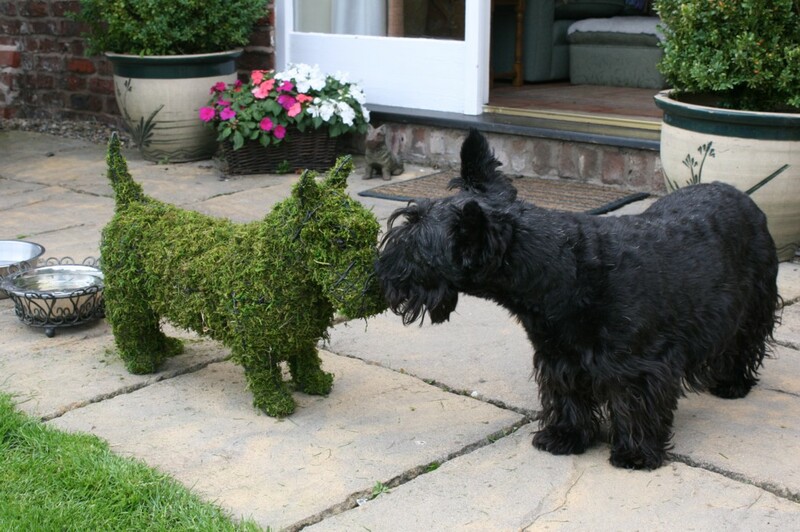 You’ve been posing for Gardener’s World again, haven’t you. The mirror worked this morning! Can’t decide, do I need a new friend, or a Wee.! lets have another sniff, before I make my mind up..